I just love the Sitara Collection from this year’s Holiday Gift Guide. 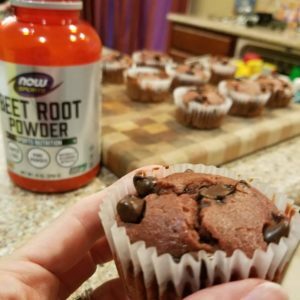 Yep, I said holidays – because believe it or not, the holidays are right around the corner. And now’s the perfect time to start thinking of gifts for your friends and family (and to pick out something nice for yourself too!). 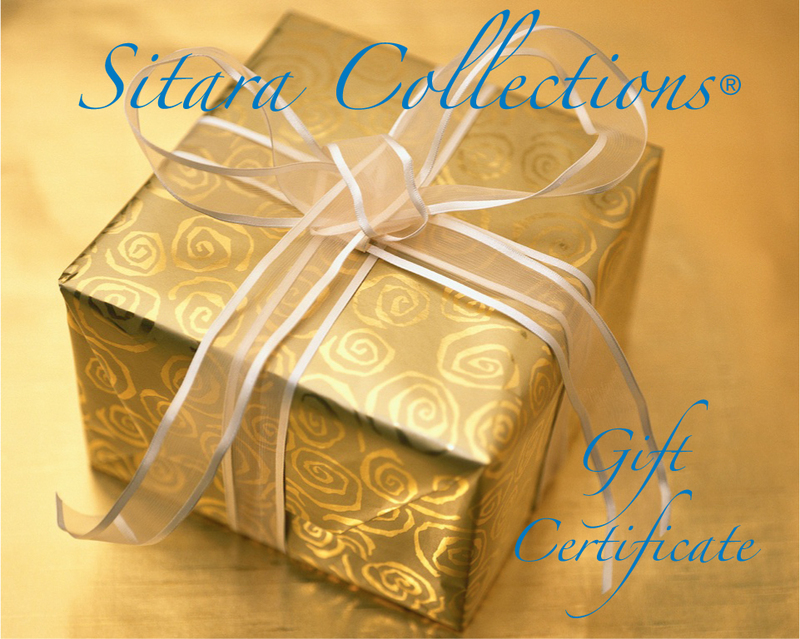 One lucky reader will win a $100 gift card from Sitara Collections to start that holiday shopping off right! Sitara Collections offers gorgeous handcrafted jewelry and gifts, like the ones you see above. Bonus – when you purchase a product from SitaraCollections.com you will be helping someone in India support their family. Sitara Collections is committed to honoring its artisans through ethical and fair trade principles and by donating a portion of each sale to the Sitara Foundation – an organization that benefits children’s education in India. 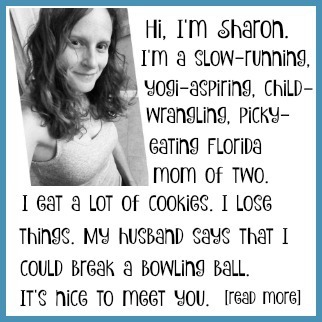 Check out my friend Janell’s review on one of their beautiful pieces! 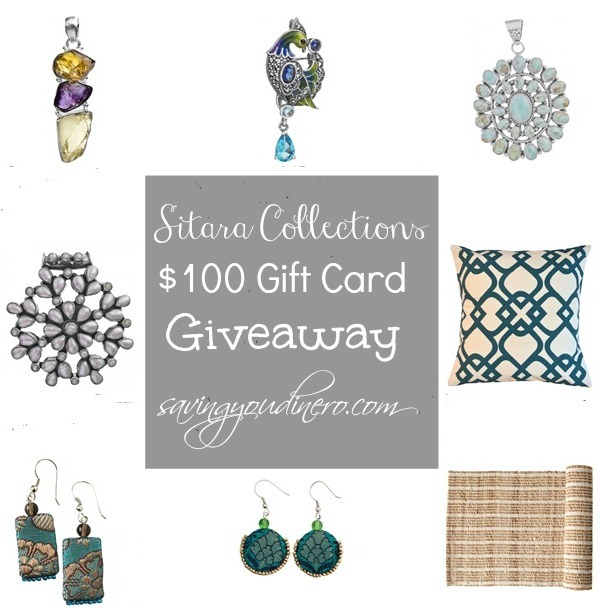 Now is your chance to enter to win a $100 gift card from Sitara Collections to spend on their amazing jewelry and gifts just in time for the holidays. Use the form below to enter. Good Luck! Don’t forget to Like Sitara Collections on Facebook and follow them on Twitter! The Sitara Collections story starts with a series of trips to India, starting in 2006, when Founder Linda Singh met with artisans in rural villages of India. Sitara Collections empowers artisans and their communities in India and bring their beautiful handcrafted products to an online marketplace. Sitara Collections partners with extraordinary Indian artisan groups to bring their high quality, handcrafted products to a global audience. These skilled artisans specialize in handcrafted jewelry, textile weaving, and glass blowing, making products with contemporary allure. Products come from all over India– from the northern Himalayan mountains to the western deserts in Rajasthan to Vanarasi, or Banaras as it is commonly known, the spiritual center of India located on the banks of the Ganges river in Uttar Pradesh. The artisans are paid fairly for their work and are able to remain in their villages and preserve their craft vs. migrating to urban centers. I visited the Janiebee Quilted Nap Mats website from your holiday gift guide page. I checked out the cargo pants from molecule asia for my daughter, I think she would really like the comfortable fit and style. Well my #1 this year is a new laptop, haha! Me too! Actually that will be my belated birthday present. I just have to get around to ordering it.